Is it time to redefine? The traditional definition of success is the achievement of a specific goal, or objective — or as a measure of succeeding, such as the attainment of wealth, favor, or eminence — while being successful is often viewed as having achieved some level of popularity, profit, or distinction. Does this mean that a failure to achieve specific goals and objectives make us unsuccessful? Or that we’re unsuccessful until we’ve attained some level of wealth or status? There have been countless books written on the topic of success, and millions purchased, from authors like Dale Carnegie, Napoleon Hill, Steven Covey, and Tony Robbins. Yet despite this many continue to struggle, and often it’s a perceived ‘lack’ of success — financial, career, personal — that people point to as the biggest source of their unhappiness. But is happiness predicated on success — or unhappiness on a lack of success? Or are both influenced by how we view ourselves in comparison to others? For some, the biggest challenge is the propensity to compare themselves to others that are perceived as more successful. Many studies suggest that ‘happy’ individuals are less sensitive to social comparison — especially unfavorable comparisons — than are ‘unhappy’ ones. How do you define success? Have you inherited your parent’s definition, or defined it based on your childhood experience? Has your view on success been influenced by media and advertising? Do you view success through the traditional lens — or instead look to other criteria such as raising your children, supporting your family, or giving back to your community? While wealth and attainment of a specific social status are often held up as examples of success, what happens when you achieve them? Are you now successful? Is that it? If success is achievement of a specific goal what is your goal for your life? What if we defined it on our ability to be present, to live every moment, to be happy? What if it involved being the best you possible — the best son or daughter, the best brother or sister, the best employee or employer, the best friend, the best neighbor, the best partner? What if we viewed it as our continual personal growth and development. 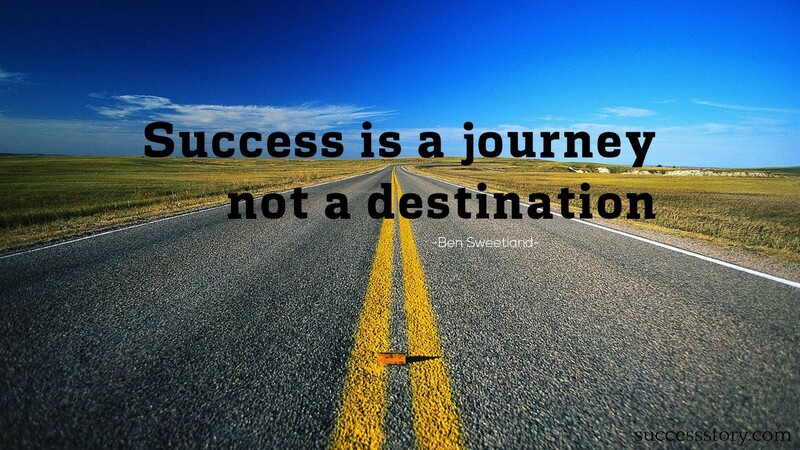 What if we viewed success as a journey and not a destination. Success — is it time to redefine?